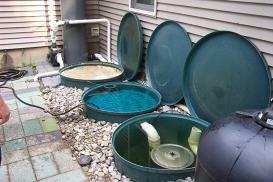 Pond Filtration is an absolute necessity in ponds. There are different types of filters available on the market and in theory, they will all work. It's just a matter how good of a job they will do and how often it needs to be maintained. 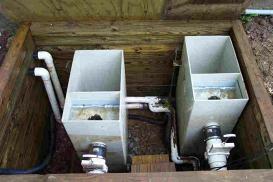 Filters perform two primary jobs, to keep the water crystal clear and to remove the toxic ammonia released by the fish. 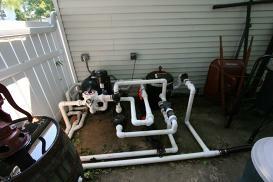 To accomplish this you will need a mechanical and a biological filtration system. 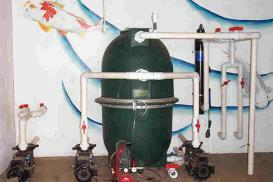 A mechanical filtration the process to remove solids from the water. 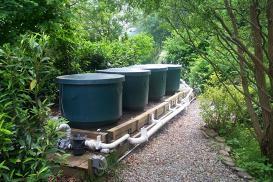 A biological filtration relies on bacteria to remove ammonia out of the water and converting it into harmless nitrate. 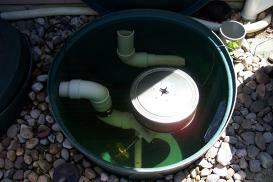 An optional component that would assist the filtration system is an UV light. The UV light is a great tool to keep planktonic algae from growing in the water. 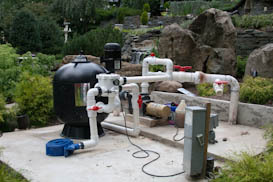 We custom build filtration systems to suit the needs of your pond, keeping in mind the water volume, fish load, and ease of maintenance. 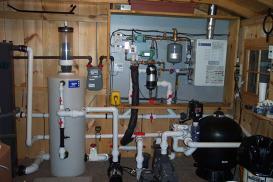 Please contact us for more information on filtration systems.